This spring started with a lot of interesting game releases, and new month also prepared for us different and fantastic premieres. We'd like to show you our list of the most anticipated April games that will be released very soon. Have you ever imagined yourself as a superhero? Now you will be able to put on a skin of Batman, Superman, Wonder Woman, Flash or other hero and go for a super adventure. 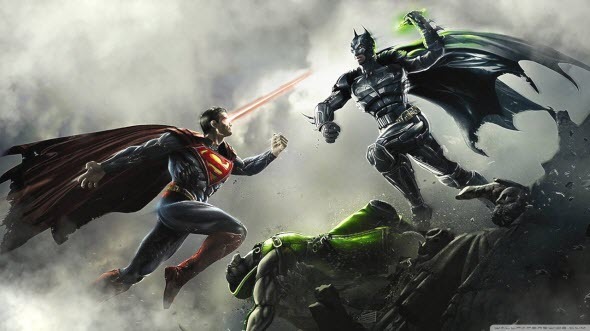 New Injustice: Gods Among Us game is a fighting that is based on DC Comics universe. There will be a lot of different one-on-one battles in two-dimension plane with really cool and detailed 3D-background. Each hero in Injustice: Gods Among Us game will have its own story that will be shown to you during the gaming process. It is interesting that here the protagonists will meet different enemies on the battlefield, even those ones that have never been their antagonists in the comic books. Injustice: Gods Among Us game is scheduled for the 16th of April. Papo & Yo game was initially released for PS3 last summer, but this amazing story was so successful that the developers decided to create Papo & Yo for PC that will be released on the 18th of April. In this adventure game you are playing a role of a young boy that is trying to run from the reality into his imaginary world. 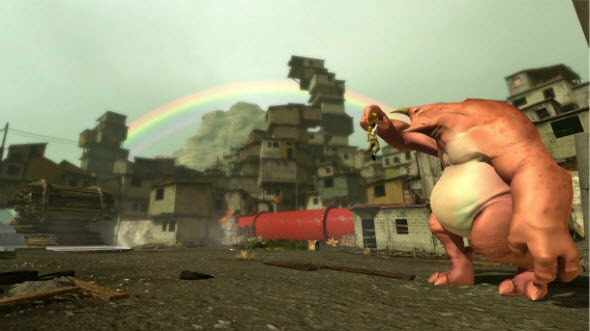 In Papo & Yo for PC the protagonist has a companion - pink monster. The main game's task is to use this monster to solve the puzzles of game's environment. The monster is rather nice creature, but after it eats several frogs, it becomes very angry. This allegory symbolizes the father of Papo & Yo game's developer, who was an alcoholic and spoiled his childhood. But after so many years, those tragic events transformed into a really beautiful story. Star Trek universe has again inspired the developers to create new one game. This time Star Trek game will be a third-person action-adventure. The project is considered to be a single-player game, but with cooperative elements. There will be two protagonists - Kirk and Spock, and each of them will have his unique abilities and tactics. 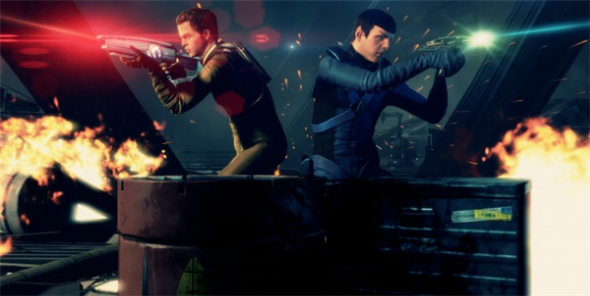 For example, playing as Kirk, you will get the traditional shooter, but with Spock the game transforms to the stealth. The plot of Star Trek game will be held in the 23rd century somewhere among the distant planets. The developers promised to recreate a lot of different futuristic weapons and equipment, so the battles are going to be really cool. Star Trek release date is scheduled for the 23rd of April. After the protagonists of Dead Island game escaped from their personal zombie hell, they are getting into another one adventure. In Dead Island: Riptide game you will again fight with the armies of zombies against the beautiful backgrounds of fresh nature. 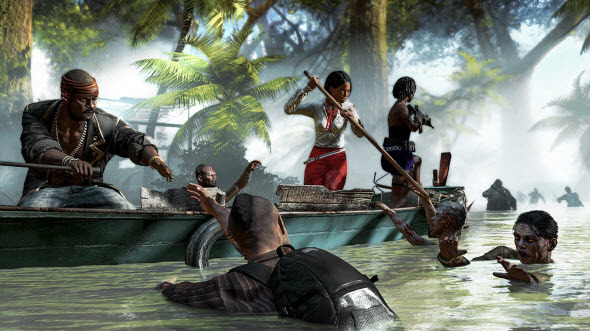 The developers promised to correct all mistakes of the first game and add lot of new levels, equipment and weapons, so even if you didn't like the Dead Island game, you should not miss its continuation. Also there will one new character, but for now we don't know his name and features. Dead Island game is going to be released on the 23rd of April for PC, PS3 and Xbox 360. 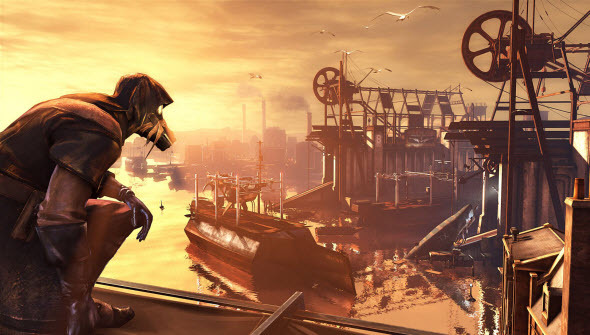 Together with big and interesting games in April we will get new comprehensive Dishonored DLC. In "The Knife of Dunwall" you will be playing a role of great city's murderer - Daud - the main antagonist of the original game. Daud will have three missions with unique story, amazing weapons and, as always in Dishonored game, the full freedom of choices. Dishonored DLC will be divided into two parts, and the first one is scheduled for the 16th of April.